I have a few hundred friends on Facebook, so I guess you could say my social life is pretty crazy. But something still bothers me when I comment on a Facebook post and I get totally ignored. Like you, Google, you’re great and I want to be friends, but you can’t just ignore me every time I comment on your posts! Sometimes I wonder what other offices are like, compared to Waspit HQ. I picture Google’s office as a mega-complex in the mountains with waterfalls and staff unicorns that give employees rides to their meetings. 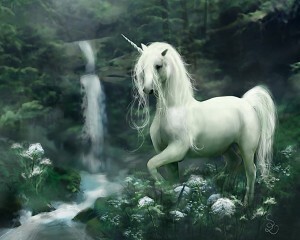 Frankly, I’m happy for Google and their corporate unicorns, but can unicorns answer me on Facebook? The answer is no. At Waspit headquarters, here in NYC, we don’t have corporate-corns, but we can walk to our own meetings and we can type. Not to brag, of course. Frequently found in Google offices. Contrary to what some of you may think, Waspit HQ is not a hive. We’re an office in Midtown, New York, on the 5th floor of a building whose main attraction is a Korean BBQ. Upon entering our office you’ll find our talented, young staff, surrounded by the largest collection of Ikea furniture in one given room. We don’t encourage staff to wear uniforms, however, a lot of us are really into flannels and sometimes we look like a startup for inner city lumberjacks. Although the walls are painted white, our office is flecked in post-its, inspirational quotes and whiteboards. All our desk lamps are the same Pixar lamp that stomps on movie titles. Past my desk, in the back of the office, is a cabinet brimming with company swag; it’s sometimes known as The Swaginet. We urge you not you underestimate the capacity of the Swaginet as it houses all of the office’s general needs: shot glasses, foam footballs, stickers and ponchos. Nik and Mark have synched their clocks so twice a day they both race up and down the stairs to compare times; it’s probably an office dominance thing and we should start collecting bets. Still, despite the shenanigans, we are serious about keeping you guys filled in on what’s going on with Waspit and what’s going on with us! We’re really excited to have opened the Swarm Team Challenge and we’re welcoming all applicants to compete! Also, we’re pleased to welcome the newest addition to our team, Richard’s new couch! Welcoming our newest member to the team, Couch! So thanks for tuning in with us, guys. Hopefully you enjoy seeing what’s going on with us and stay posted for updates. Finally, we are psyched to engage you guys in everything we do, so talk us and let us know what you think.